A small oak opposite the egg has a rich crop of galls to harvest. I will use them to make a dye for my clothing and to create an ink for drawing as the first step toward understanding the cultural and environmental importance of the tree in this particular riverscape. 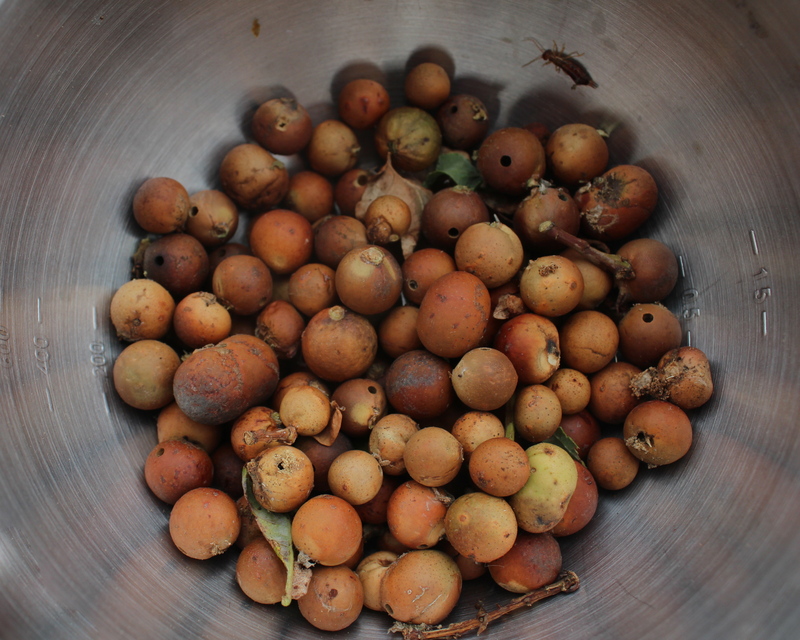 Oaks can have many different species of gall growing on a single tree. These were made by the species of parasitic wasp andricus kollari and resemble marbles in size and shape.